Weeds are an inevitable part of your lawns and gardens. Gardeners spend countless hours to clear their beds, but unwanted shrubs and grasses overtake the landscape again in a matter of days. Although manual removal delivers immediate results, it is not a practical or long-term solution. If you have a busy schedule, you don't have much time to get rid of pesky grass and weeds that lead to unpleasant-looking vegetation patches. The best way to ensure a consistent weed removal system is to use an authentic weed killer. 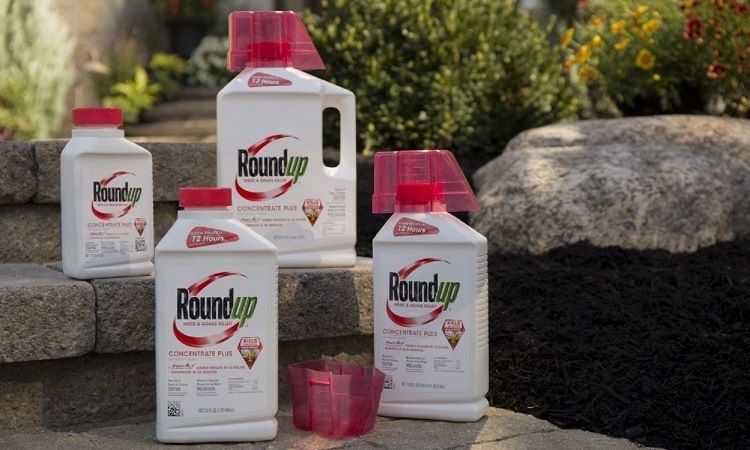 The Roundup Weed and Grass Killer Concentrate Plus is a potent formula that features glyphosate as an active ingredient. However, it also contains some diquat dibromide. The product is powerful enough to destroy all grass types and weeds along your fences, driveways and just about all troubled areas. Thanks to its impeccable performance, this high-potency formula works best when you follow all the directions mentioned on the label. You need 12 hours for an astonishing result and only 30 minutes to rainproof the application. However, the formula is engineered to destroy everything that comes its way. It implies that users need to spray it carefully around any productive plants in their gardens. This concentrated solution doesn't come with a sprayer. Users need to take six ounces of the concentrated solution and mix it in one gallon of water to create a practical solution. This product is one of the fastest working weed-killing solutions that can get rid of tough grasses and weeds. Plants absorb this formula through the leaves and stems and reach down to the root level for complete removal. It doesn't spread to non-target plants through soil; so, you can protect your edibles with a careful application. 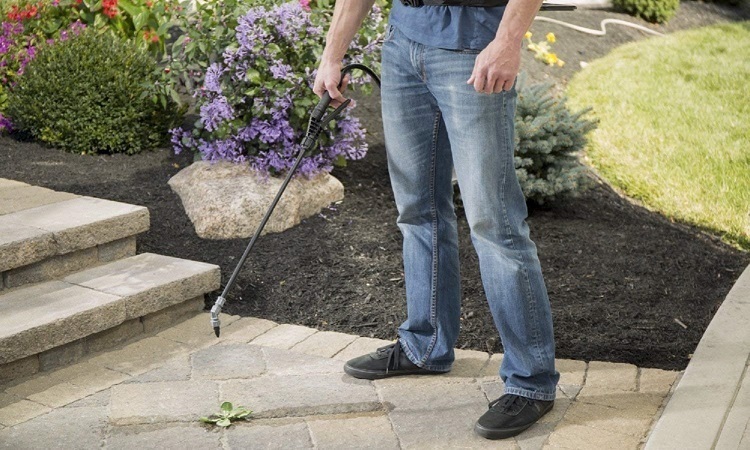 The Roundup Weed and Grass Killer is ideal for use around trees, shrubs, on driveways and patios as well as gravel areas. It is an excellent product for preparing your gardens, without harming your edibles. But make sure you follow all the instructions on the label. The product is highly concentrated. It is why you can use it in diluted form. It is engineered to cover larger areas. The best part is that it just needs 30 minutes to become rainproof. Glyphosate (18%) and diquat (0.73%) are the active ingredients that are present in this formula. Glyphosate reacts with an enzyme that is present only in plants. It is safe for use around animals and pets. 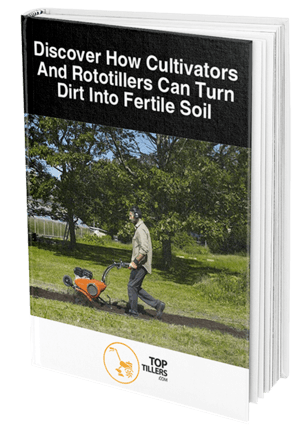 This product successfully destroys weeds, mainly broadleaf and gets rid of all types of grasses that typically compete with crops. Interestingly, some plants and specific crops have been genetically developed to resist glyphosate. Hence, it is likely that it will target just the weeds. But there are no guarantees. In the past, several rumors surrounded the incredible Roundup Weed and Grass Killer Concentrate Plus. However, the product is tested for use and is safe for humans and animals and is now labeled safe for regular use. The solution also works as the soil absorbs diquat (present in the formula) as it attacks weeds at the root level. But it may not work as effectively in clay soil. Moreover, diquat is fatal if absorbed through the skin, inhaled or swallowed. So, it is essential that you use this product carefully. Users need to purchase a tank sprayer separately. Make sure you spray unwanted grass and weeds until the leaves become thoroughly wet. In case you unintentionally spray a plant that you don’t want to destroy, rinse it thoroughly with water. Once the spray dries off completely, the treated area is safe for pets and people. The best time to spray the Roundup weed killer is on a warm and sunny day. You will observe weeds wilting within 12 hours. All unwanted growth is dead within a couple of weeks. Customers who are using this impressive weed and grass killer love it for its top-notch performance. The Roundup solution offers superb value for your money and boasts a highly remarkable satisfaction rate on Amazon.com. It is undisputedly one of the fastest and best working solutions for killing weeds and grasses, without harming your edibles. Happy customers consider Roundup as a respectable name in the herbicide industry. The weed and grass killer delivers fast and long-term results and is ideal for regular use. All gardening enthusiasts who like to grow vegetables and plants can benefit from the fantastic performance of the Roundup Weed & Grass Killer Concentrate Plus. It is a great solution that takes care of all troubled areas including driveways, trees, fences and your flower beds. You can use it as an affordable tool to complete your lawn renovation/restoration project. Since you can plant flowers after 24 hours of the initial application, using the formula will not affect your gardening pursuits. In case you need to plant fruits, herbs, and vegetables, wait for three days after application. It is a favorite product on Amazon.com where it enjoys mostly favorable reviews from satisfied customers. It is available in various sizes by multiple sellers on Amazon.com. The Roundup Weed and Grass Killer Concentrate Plus (1/2-Gallon) is available for around $30. If you’re looking for a fast-acting weed killer, this is the product you should buy today. It is a great solution to improve your landscaping and is suitable for use even if you have small children or pets. 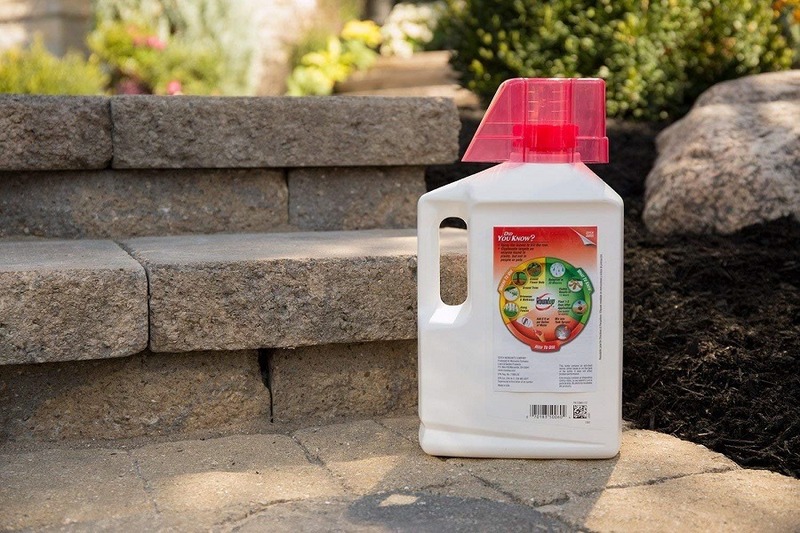 The Roundup Weed and Grass Killer Concentrate Plus is the perfect choice for your garden if you want to use an affordable yet powerful product to protect your lawn and garden.